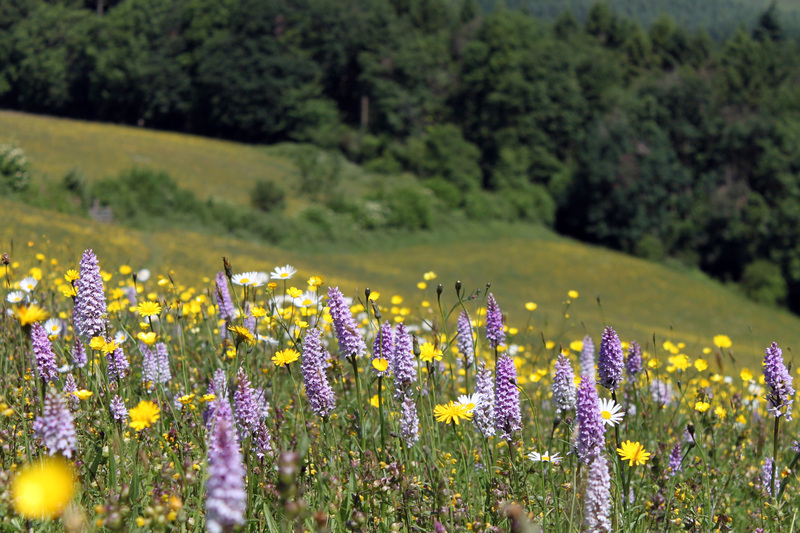 Herefordshire Meadows is now involved in 1 of 6 Nature Recovery Network pilots across the country. We’re in partnership with Natural England, Plantlife, GWCT and Clarence House. It’s a wonderful chance to showcase effective ways to create more Coronation Meadows and link pollinator habitats across our mixed farming landscape and to feed our experience into future agri-envrionment system (ELMs) design. We’re working alongside groups of farmers in Worcestershire and Sandringham Estate in Norfolk and new funding is being developed for field scale projects in 2019.